Fibromyalgia: It’s Not “All In Your Head”! - Piedmont Physical Medicine & Rehabilitation, P.A. Fibromyalgia: It’s Not “All In Your Head”! If you suffer from the miserable symptoms of fibromyalgia you may be weary of skeptics claiming it’s “all in your head.” Many people with fibromyalgia feel that family and friends don’t fully understand what they’re going through, or even believe their painful symptoms are real. As a result, they lack necessary support, and their struggles with fibromyalgia become even more difficult to manage. Unfortunately, there is no single reproducible, objective test for fibromyalgia, which is why some doctors still question the validity of the disorder. While the exact cause of fibromyalgia continues to remain a mystery, it is becoming more widely accepted in medical circles as a real and serious health condition. Fibromyalgia is a non-progressive disease characterized by a wide variety of chronic symptoms. The most commonly reported symptoms are extreme fatigue, areas of tenderness, and widespread muscle, ligament, and joint pain. People often feel tired even after a full night of sleep. Even minor chores can leave them feeling wiped out and exhausted, such as running errands, washing clothes, shopping or cooking dinner. And while the pain can feel similar to bursitis, osteoarthritis, and tendinitis, there are major differences. Fibromyalgia musculoskeletal pain travels throughout the entire body, and is typically described as throbbing, sharp, deep or aching. Many fibromyalgia sufferers experience other distressing symptoms that are highly disruptive to their lives, such as concentration and memory difficulties (often referred to as “fibro fog), anxiety, headaches, depression, sleep problems, morning stiffness, trouble urinating, IBS, mood disorders, and numbness and tingling in arms, hands, and feet. Unlike primary fibromyalgia, where sources for the symptoms are unable to be detected, secondary fibromyalgia occurs when other treatable conditions are present, even if they are frequently missed by medical professionals. These conditions can include strained or loose ligaments, muscular spasms, reflex sympathetic dystrophy (RSD or CRPS), thoracic outlet syndrome, and radiculopathy, which is a condition of the nerve roots. Other common conditions that can lead to secondary fibromyalgia include immune system disorders, clotting abnormalities, hidden infection, hormonal imbalance, nutritional deficiencies, and toxic environmental exposure. If one or more of these underlying problems is present, the fibromyalgia is often made worse or exacerbated by the underlying cause. Today, researchers are closer to understanding fibromyalgia, and the stigma that surrounds it is lessening. After decades of extensive research, they’ve discovered possible factors that may work alone or together to cause fibromyalgia. Some of them include genetics, lifestyle, infections, trauma and stress. Another possibility is that the receptors and nerves throughout the body become hyper-sensitive to stimulation, which makes them overreact to certain signals and cause unnecessary pain. While no single test can detect fibromyalgia, there is one telltale “smoking gun” that may indicate it during physical tests: a pattern of soft tissue tender spots. While some people with fibromyalgia don’t have tender points almost everyone with fibromyalgia does have them. 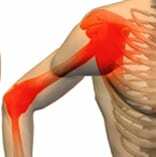 These tender spots are certain muscles and tendons that become painful when touched. If you press a specific point on a person without fibromyalgia, they’ll only feel pressure. But the point is tender and painful for somebody with fibromyalgia. The criteria for fibromyalgia is they can’t be located in any single body part, must be present in an individual for at least three months, and include 11 of 18 defined locations. At Piedmont Physical Medicine and Rehabilitation, we know your pain is very real. We’re one of the few clinics in the country that focuses on fibromyalgia and has demonstrated positive results among our patients. Using success indicators to monitor progress 80% of our patients report improvement in function, a reduction in frequency of severe episodes, less pain, higher levels of function, greater acceptance of their condition or improved quality of life. How do we make it work? First, we thoroughly assess the possible causes for your fibromyalgia, and then review several treatment options to find the best one for your specific needs. Depending upon our findings and the specific treatments we select, you may begin to notice positive results in just a few weeks. Our ultimate goal is to improve the overall quality of your life. We use several unique and highly effective methods to validate your complaints and then to heal and help your body reinvent itself on several levels. Restorative Therapy is commonly used with fibromyalgia and it is a powerful tool that may combine exercise, water therapy, and massage. Besides relieving muscle pain, stiffness, and soft tissue tenderness, it also helps to develop muscle tone, improve endurance, and enhances balance and coordination. But sometimes it is just not enough. Quite often we have to combine a restorative therapy approach with other medical treatments. For example, Prolotherapy uses safe and natural medications to stimulate your body’s natural healing response where you hurt with the intent of regenerating painful or injured musculoskeletal tissue. 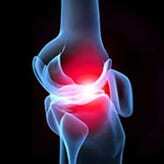 Quite often prolotherapy injections are used to strengthen ligament. As your ligament strengthen the surrounding muscles relax. That means you experience less spasm and pain. We also work with you to reduce total load; all factors that interfere with your well-being. There are more options as well. Many more. Our strategies and solutions help to relieve pain and greatly improve the quality of your life. Yes, You Can Beat Fibromyalgia! We invite you to call our office for a no-obligation consultation. We’ll answer any questions you may have, and also explain how our effective treatment program for fibromyalgia can work for you. Click here to learn more or call our friendly staff at (864) 920-1006.